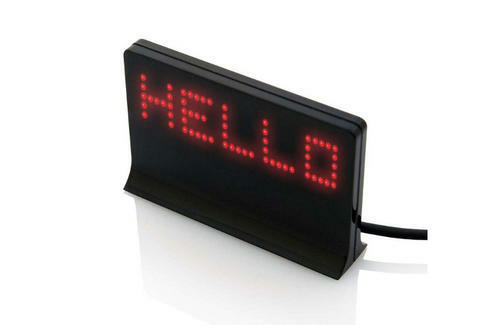 Less than four inches long and under three inches high, the Dream Cheeky LED Message Board personalized marquee is designed to get your message across without taking up valuable desktop space. Let any of your cubicle passerbys know exactly how you’re feeling or what you’re thinking by storing up to eight different messages, which can be displayed in any of your choice of five different scrolling modes. Don't have anything nice to say? Add up to 12 bitmap images per message or include optional sound effects.